How can I cancel my OpenPhone subscription? We'd be sad to see you go, but such is life and we hope you enjoyed using OpenPhone. Here's how you can cancel your subscription. 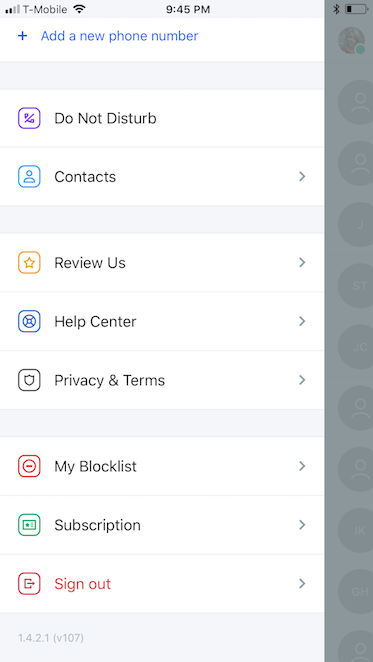 First, launch the OpenPhone app, open the account page and tap on the "Subscription" button to cancel your subscription. If you're on iOS, you can do it from the iTunes subscription page. Follow the steps here or open this link on your iOS device. If you're on Android, check to see if you have a Google Play subscription. If you're having any issues, please email us at support@openphone.co and we'll gladly assist. You can also text us at 855 746 6304 right from your OpenPhone account.